Vacation rental house. 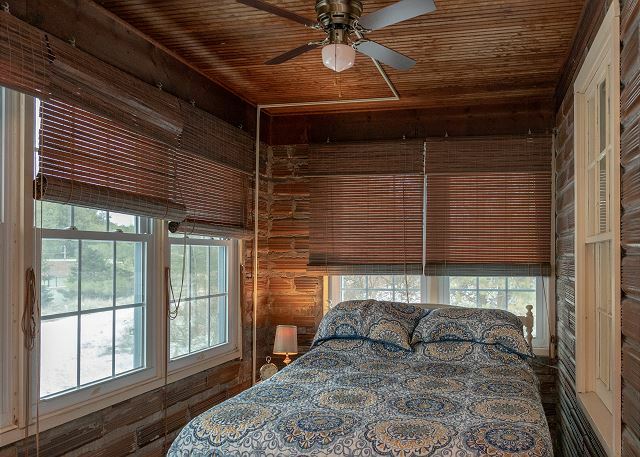 Sleeps 8, 4 bedrooms, 1 bathroom. Cats, Dogs allowed. Just over the small bluff the beauty of Lake Michigan awaits you. 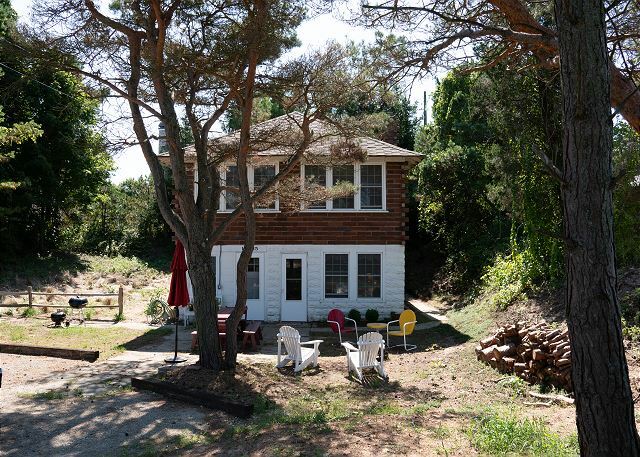 Just steps away from the home and over a small bluff, miles and miles of Lake Michigan shore beg you to come and play. 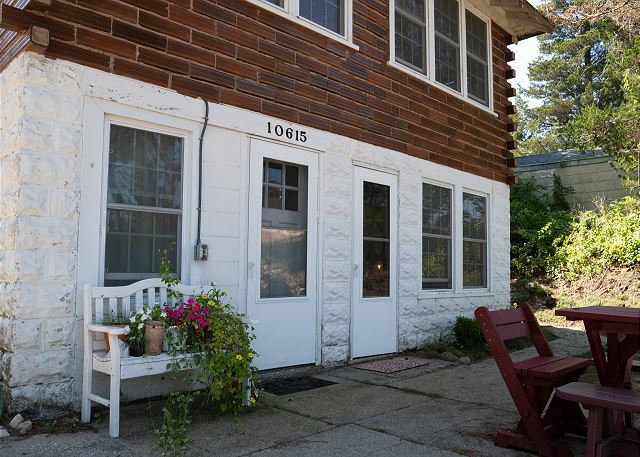 This classic Grand Haven cottage invites you to pack up the family and spend a week at the beach. 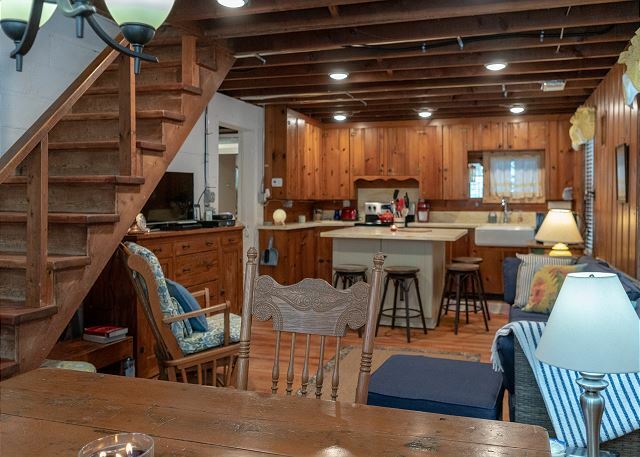 The interior of the home is quaint and cozy, as you would expect for an original Grand Haven cottage home. Gather around the table for a family dinner. The table comfortably seats six, while the island bar only steps away will accommodate an additional four. Put your feet up and relax-you're on vacation! 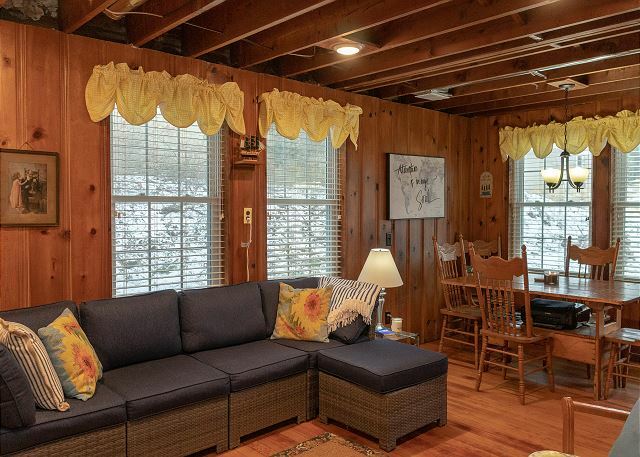 The home is equipped with WiFi, Cable tv and DVD player. The kitchen has been newly updated and is fully stocked with everything you need to make yourself right at home. 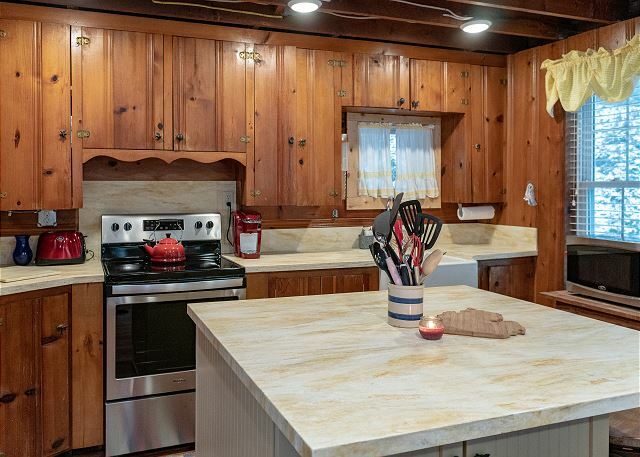 The center island is a great place to prepare a delicious meal and serves as additional seating with four bar stools. 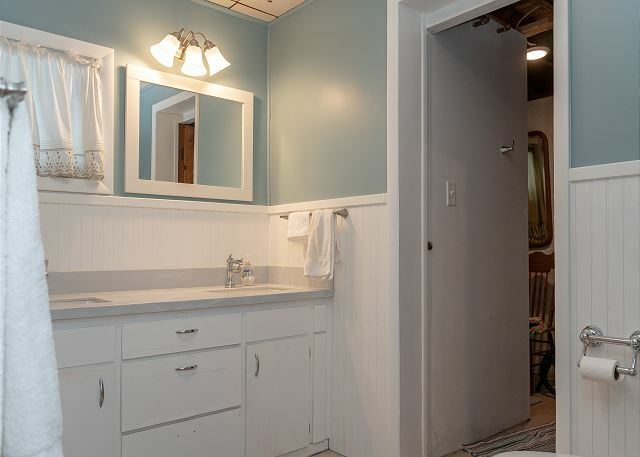 A shower stall is located through the door to the right. 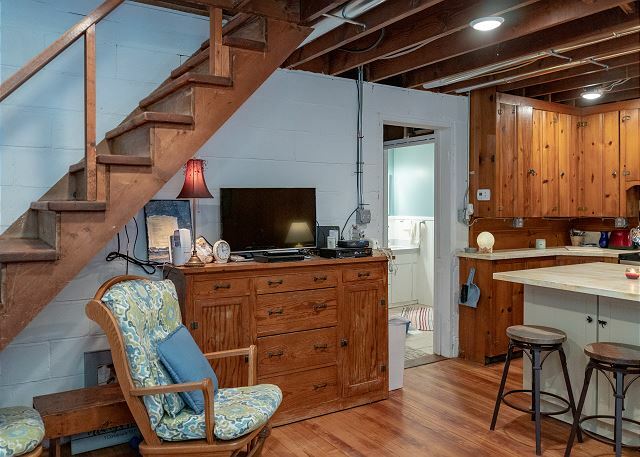 This downstairs room off the main floor living area has a piano for gathering around and a twin daybed that could serve as a 5th bedroom. Centered in the middle of the upper level this second living room has a cozy gas fireplace. When you're exhausted after a day at the beach, curl up with a good book and enjoy a moment of peace and quiet. 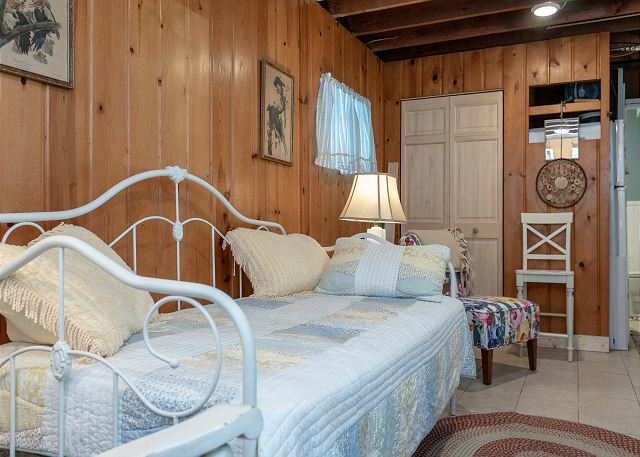 You will love the privacy of this Queen bedroom with seating area. With two twin beds, this is the perfect bedroom for the kids. 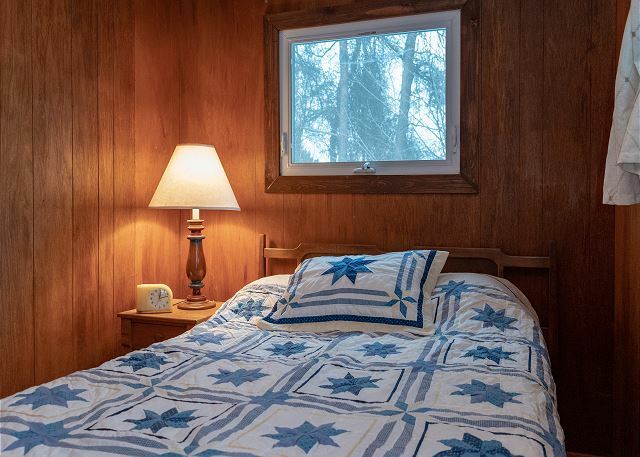 This bright and cheery room has one twin bed. Bedroom #4 has a Full bed. 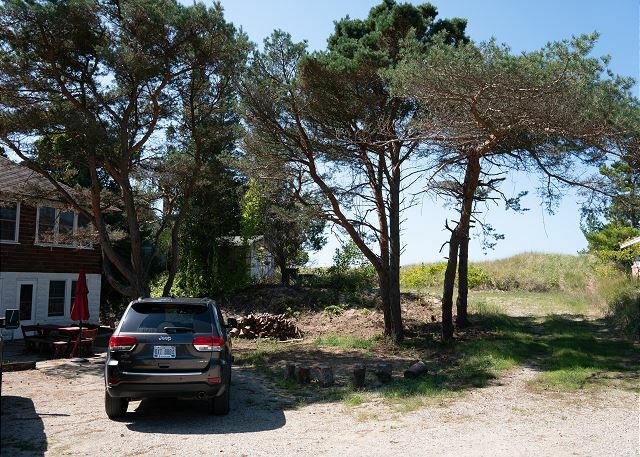 Parking is available on the property for up to three vehicles. Spend your evenings under the stars with a fire in the pit and a marshmallow on a stick. This photo is taken a top of the small bluff to show the path from the home to the beach. 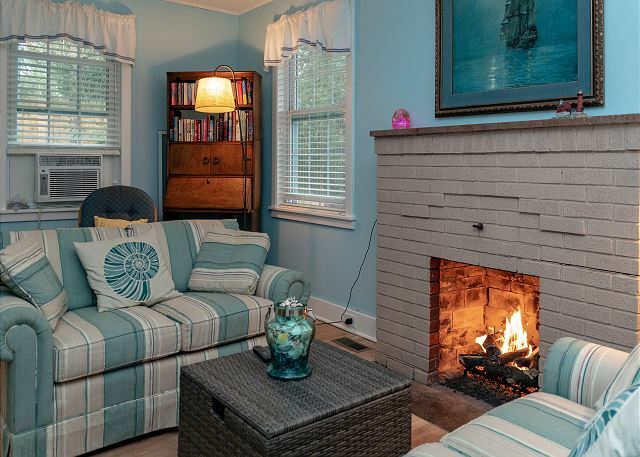 You will feel like you stepped back in time with this classic Grand Haven Lake Michigan cottage-yet it's been updated with all the conveniences you would expect to set the scene for the perfect family vacation you've been dreaming of. When you enter the home you will enter into the dining room, living room and kitchen. Through a doorway off the kitchen you will find a full bathroom to the right and an additional gathering room to the left with a piano and twin daybed that could be used as a 5th bedroom. 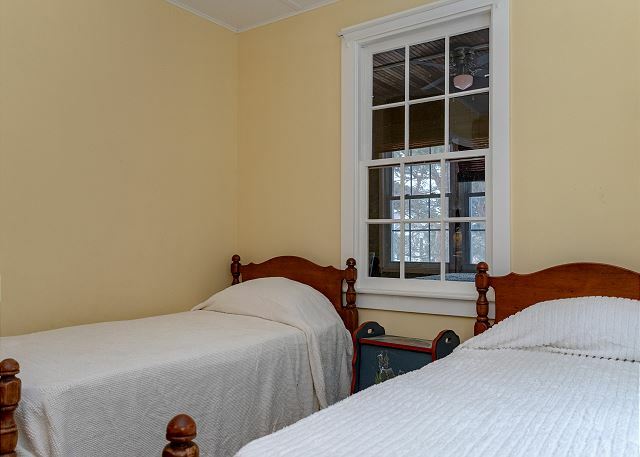 Upstairs you will find a cozy second living room with gas fireplace, and four bedrooms with a Queen, three Twins and a Full bed. Please note this home does not having Air Conditioning, Washer or Dryer. A window A/C unit is located upstairs and in conjunction with fans keeps the home comfortable even in the heat of summer. 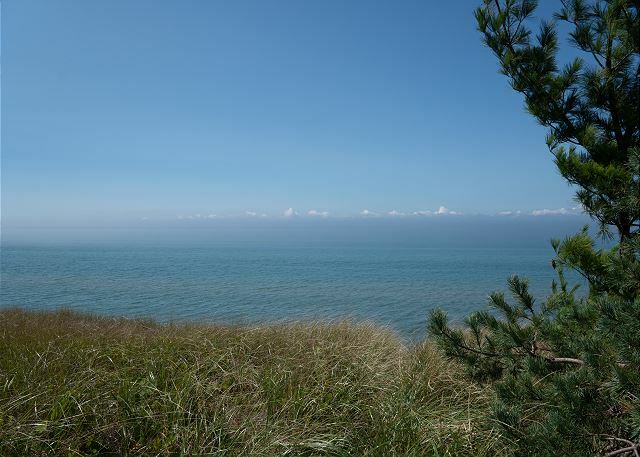 While the woods surrounding the home are beautiful enough, the real beauty is just steps from the home and over the small bluff where you will find beautiful Lake Michigan. A pathway down to the beach will lead to endless hours of enjoyment walking the shores of Lake Michigan, playing in the waves, and soaking in the sun. 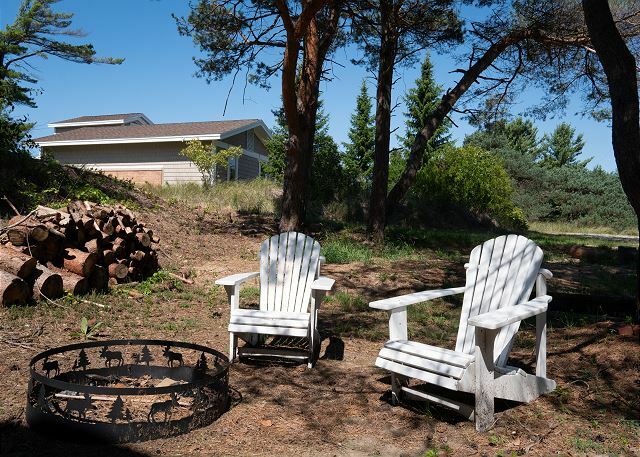 A small fire pit and picnic table is located directly outside the home and will provide the perfect space for an evening bon fire and s'mores. A small charcoal grill is available for your use, just be sure to pick up some charcoal before you come. Parking: Parking is directly in front of the home and will accommodate up to three vehicles. The kitchen is fully stocked with everything you will need including cookware, dinnerware, and utensils. A small Keurig coffee maker is available for your convenience. The home does have hard water so we recommend you bring bottled water for drinking. Please note this home does not have a dishwasher. The dining table seats 6 with additional seating for 4 at the kitchen island. 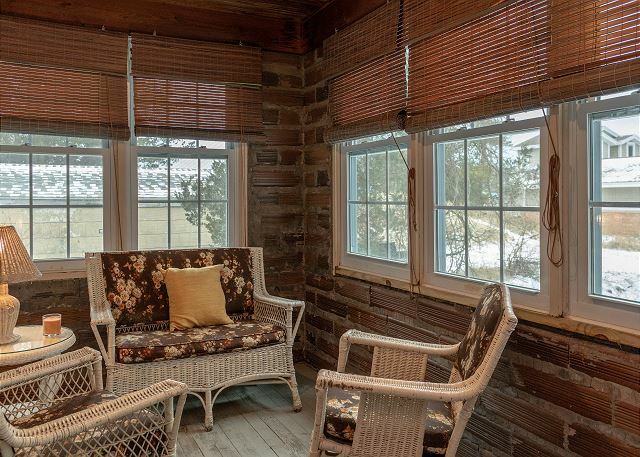 While you will enjoy the privacy this home offers, tucked back into the dunes and private Lake Michigan access only steps from your front door, the home is located only 15 minutes from the heart of Grand Haven and only 20 minutes from Downtown Holland. Both Holland and Grand Haven downtown areas offer plenty to do with quaint boutique shopping, restaurants, ice cream shops, and parks galore. Directly across the street from Rustic Charm is a 40 acre marsh preserve with just under a mile of trails to hike and a marsh overlook to observe wildlife. A bike path runs in both directions with miles and miles of wide smooth road for you to explore on bike or foot. 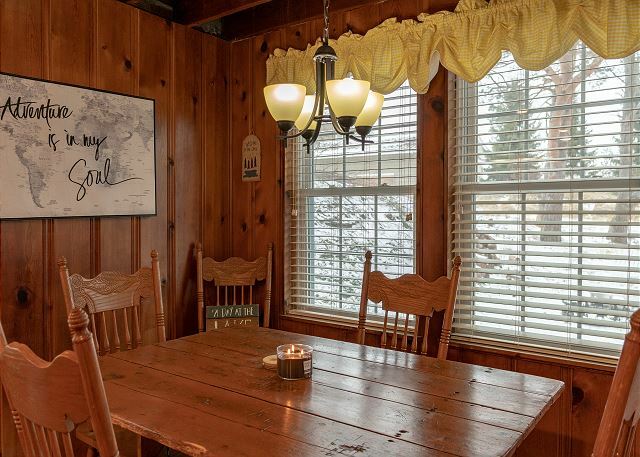 This older cottage was as advertised. Rustic. We did not mind no internet, not TV, we were there for the beach! Just a short walk over a sandy hill to the beach. I was a little disappointed with the beach. The path was grown over with grass and hard to walk through. The beach was also very grassy, but we enjoyed our time nonetheless. 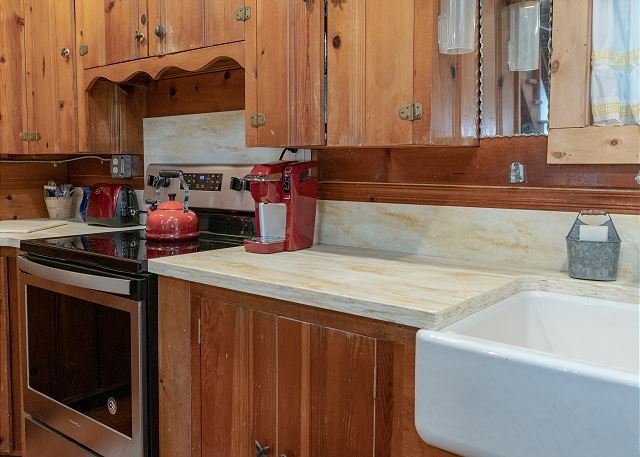 Although the cottage was old and needed some aesthetic repairs (deteriorating baseboards, etc), overall it was clean and well stocked. Except for towels. We were told towels were provided but couldn't find any. We ended up buying some at Wal-mart when we went to town for groceries. I do have a physical disability and found the stairs challenging, but that was my choice. The hill to the beach was more difficult than I expected, by my friends climbed it without difficulty. Quiet and somewhat secluded was a bonus! I would stay here again. Thank you for your review of Rustic Charm. We are happy to hear you enjoyed your stay and will certainly bring up your suggestions to the property owners. Hope to have you visit with us again soon!